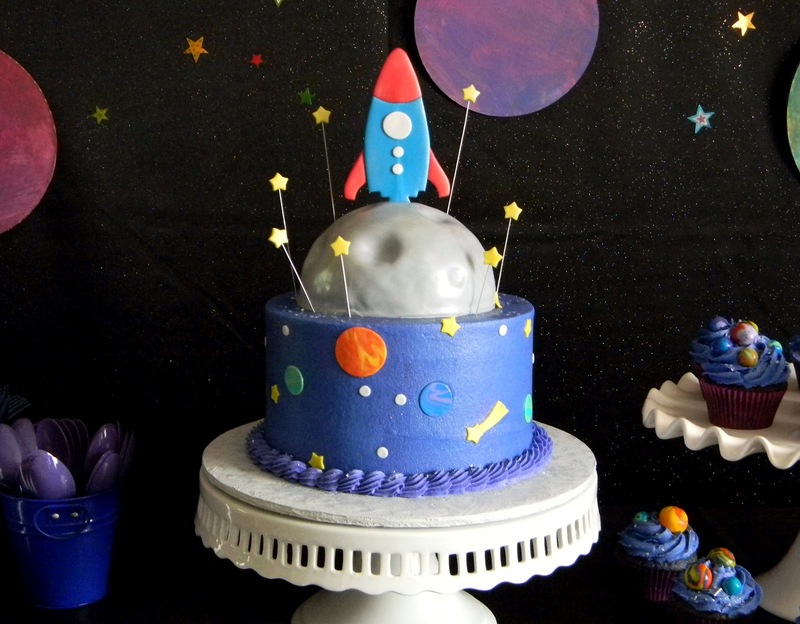 Frost Your Cake: A Blog to boldly go where no Blog has gone before... or something like that! 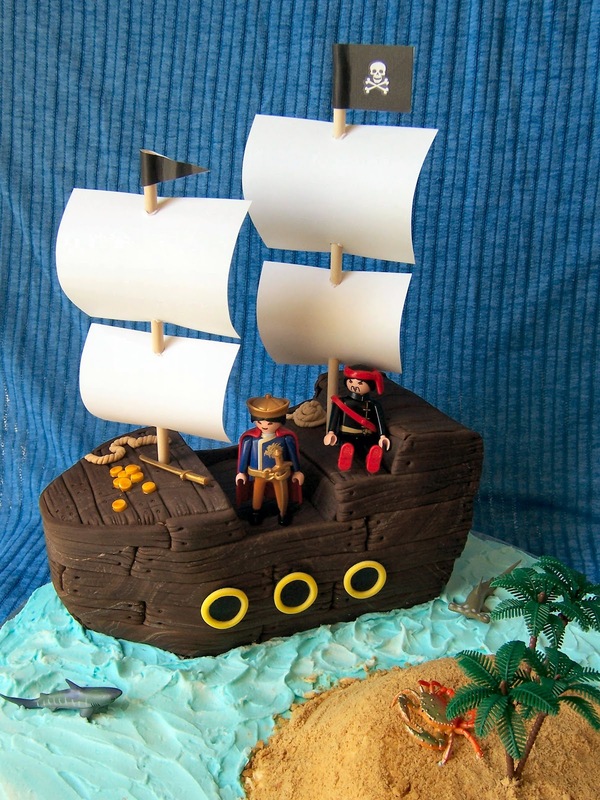 A Blog to boldly go where no Blog has gone before... or something like that! 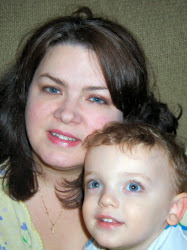 See my sweet little guy peeking back there? 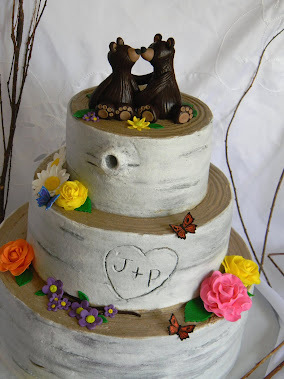 Awwwwww! This year my sweet boy chose to have an "Outer Space" Birthday party. 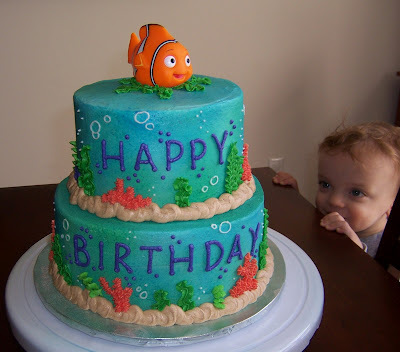 He and I sat down as I was instructed on just how he wanted his cake to look and discussed decorations and guest list. 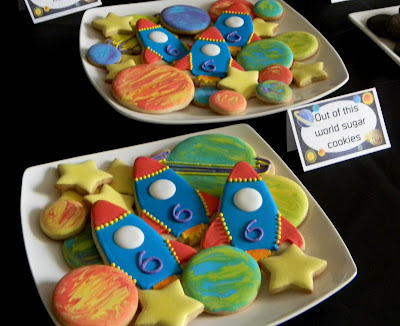 He asked me to make rocket cookies for his school treat. 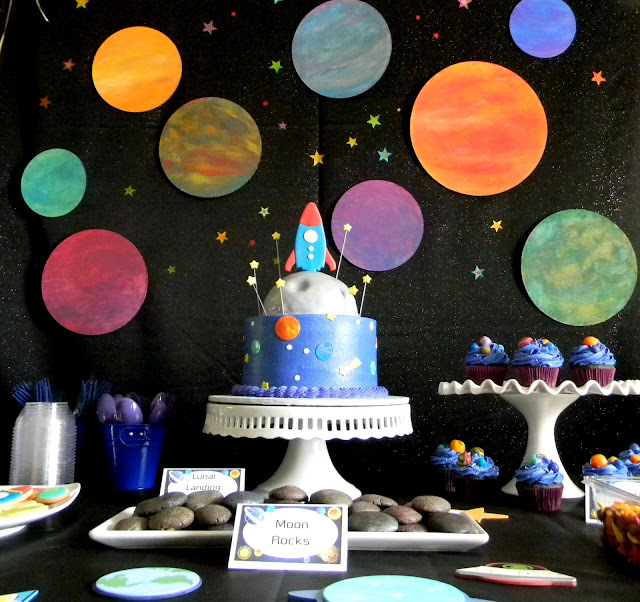 A couple weeks before the party he painted planets for the backdrop, he used several of his space/planet books to try to get them just right. I think his planets came out terrific! The cake was so fun, and exactly how we'd sketched it out. 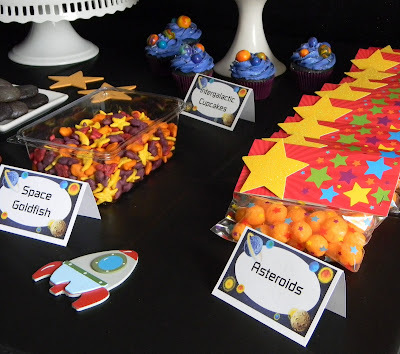 Space shapes Goldfish crackers & cheese ball Asteroids! 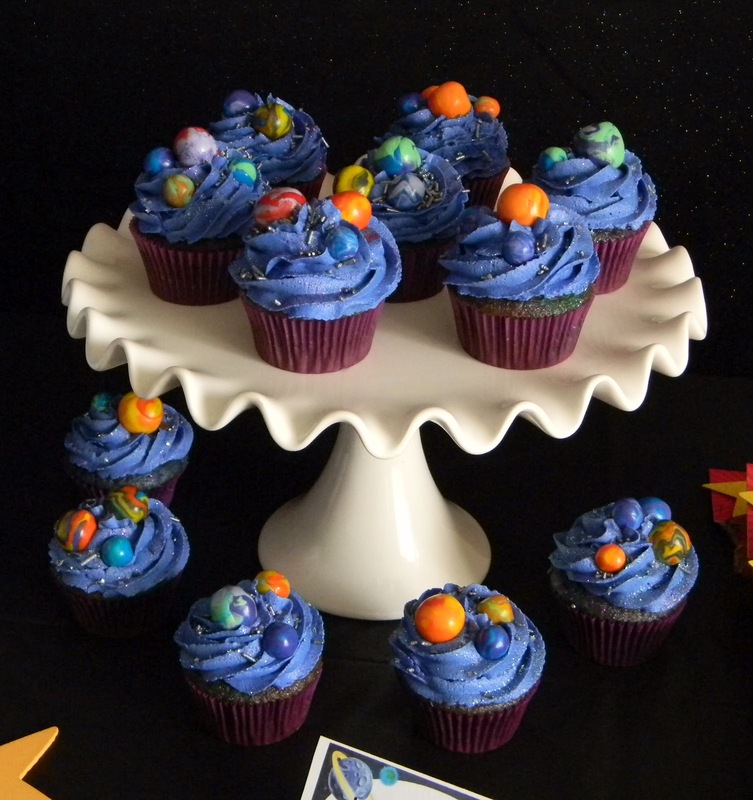 Intergalactic cupcakes with sparkles, mini confetti stars, and fondant planets. 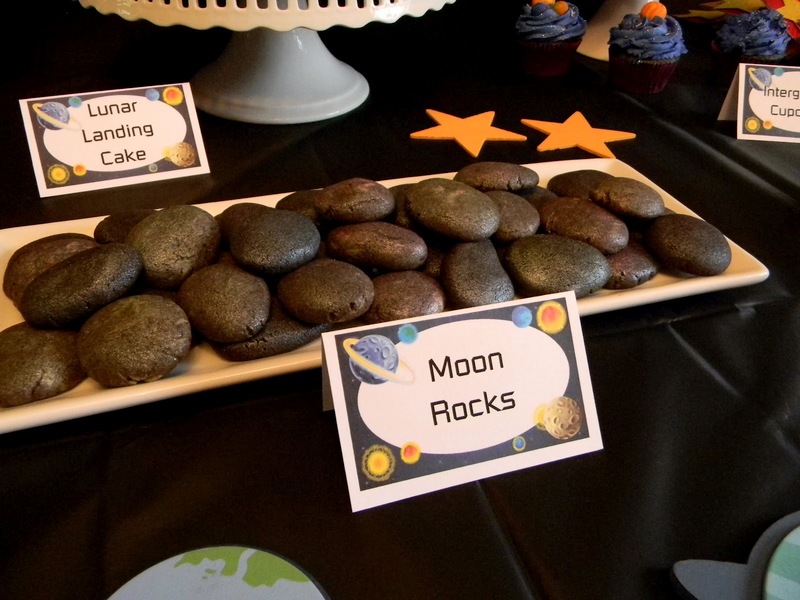 "Moon Rocks" so simple, yet made a great addition to the table. 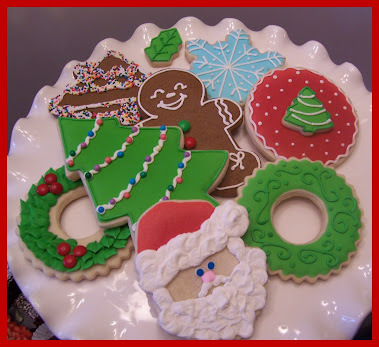 These were sugar cookie dough with several colors added then marbled and shaped. After baked and cooled we added some lustre dust to give them a bit sheen. Easiest cookies I've ever made! 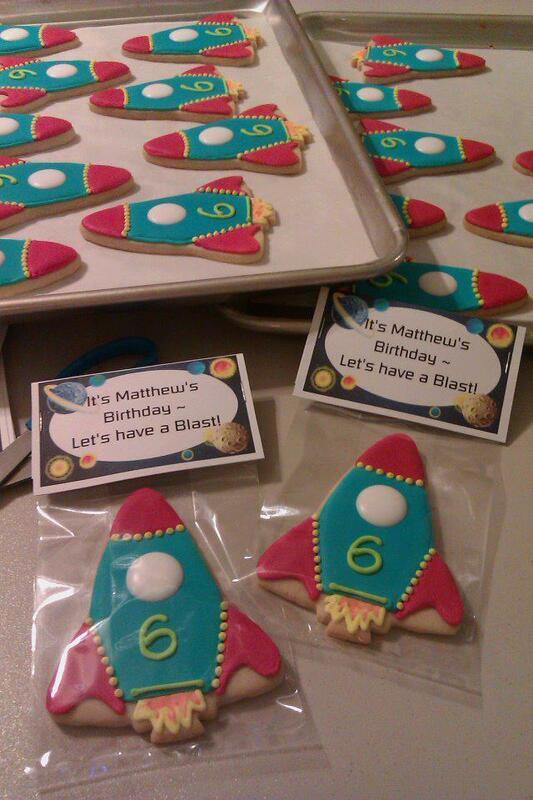 All in all, I think the party was outta this world and I had one happy 6yr old! Ooooh Scott, I'm dying to make a Zombie-themed party! Get it? DYING! 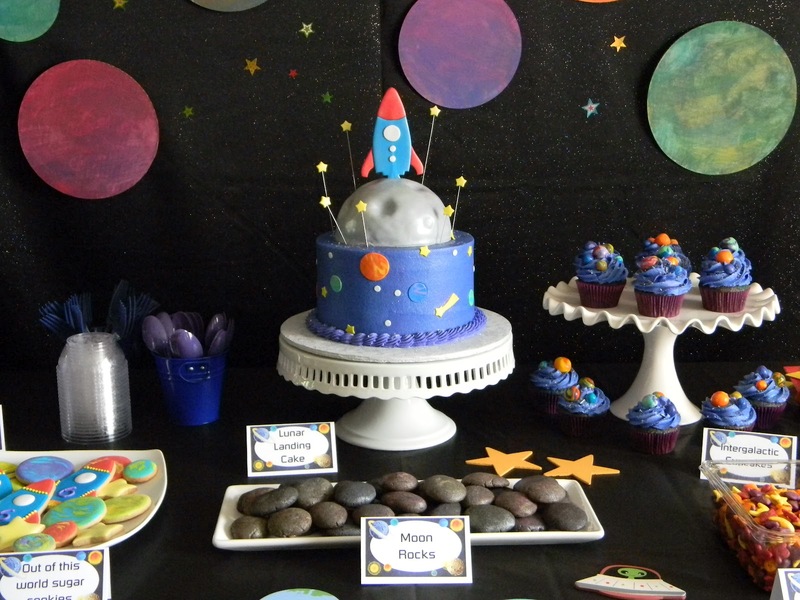 I love the cupcakes (as well as the rest - the planets are amazing!) 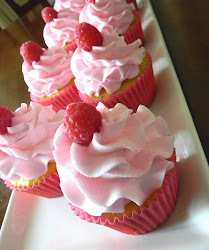 and just pinned them. 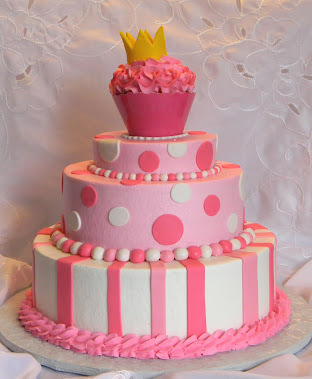 Unfortunately I'm a novice baker at best. 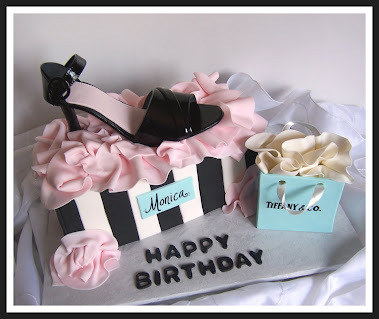 Would it be possible for you to post instructions on them? I'd love to attempt them for my son's birthday party this weekend. It's cosmic bowling!